A good humour book is usually hard to find, especially a humour book of short stories and sketches. 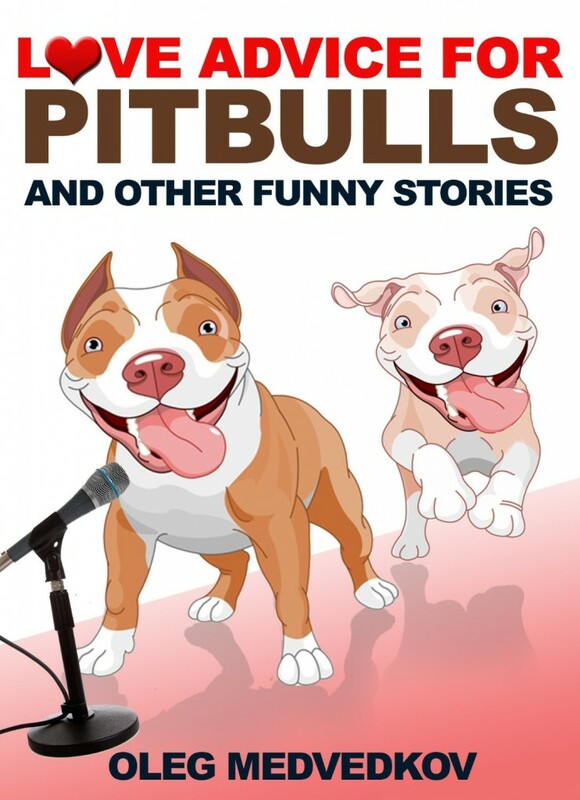 If you like whacky jokes and weird stories, then Love Advice for Pitbulls and Other Funny Stories by Oleg Medvedkov is the book for you. This book will have you laugh out loud at times. And at times it will provide some food for thought. And sometimes you will think: “What the heck?”. Medvedkov has a very peculiar writing style and a unique sense of humour. He is the type of a comedian whom some love and some hate. His writing is random at time, sometimes a bit too random. But it’s always funny. This book will teach you how to deal with trolls, how to communicate with a nutty pitbull over the helpline and not to go mad in the process, and how to preach a sermon to foreigners (Canadians) about the dangers of the letter D.
If you like comedy sketches, then Love Advice for Pitbulls is a must-read.